A HWANGE magistrate handling the case of suspended chief magistrate Mishrod Guvamombe, who is accused of criminal abuse of office, yesterday threw out an application for his recusal, saying it was common worldwide that magistrates try their colleagues and judges try other judges. Magistrate Collet Ncube ruled that the application by Guvamombe for his recusal was stretching the objectives of the recusal merit too far. 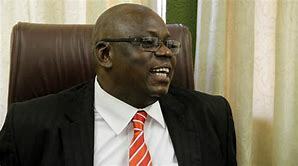 Guvamombe had filed an application for his trial to be moved to the High Court, saying all magistrates in Zimbabwe and the Sadc region were his juniors and could not try him, but only judges. But Ncube said one of the criteria for judicial bias must be the perception that there might be a bias in the trial. He said there was no cogent reason to give rise to his bias, as it was just a reflection of thought since there was no evidence to that effect. Guvamombe had submitted that he promoted Ncube to the level of regional magistrate on merit and any ruling he would deliver would be received with suspicion, but Ncube said his promotion was done on merit by the Judicial Services Commission, and not Guvamombe as an individual, and that could not stop him from presiding over the case. Ncube further ruled that the State should have been the one to complain of bias because the accused was his superior, but it was not the case since he was just an ordinary magistrate. "There was no cogent reason to give rise to my bias, it's just a reflection of thought. There was no evidence that my rise to be a regional magistrate will have effect on this case. The appointment was on merit. If there was anything done on my behalf behind the scene for me to be where I am, then I don't know of any, but my appointment was done by JSC," Ncube ruled. "The application does not conform to the objective of recusal. Should I be wrong, of which I doubt, that will be corrected by a review." Guvamombe had raised concern that Ncube's superiors, Hosea Mujaya and Elijah Makomo, were witnesses in the case and might also influence decisions he would make. The Hwange magistrate, however, left the court gallery with more questions than answers when he called for a brief adjournment after the State and defence could not agree on the next remand date. The defence had asked for the matter to be postponed to May 17, but the State wanted April 17. Ncube then said he wanted to consult his superiors, who are also the witnesses in the case on when the case should proceed. He further said he needed to organise with his superiors on the modalities of his stay in Harare since his family was in Hwange.